About Stratton Home Inspections serving Des Moines, Iowa, Southwest, Iowa and many sourounding cities. At Stratton Home Inspections, we provide professional inspection services for both home buyers and sellers. As Certified Master Inspectors we hold the necessary certifications needed to perform a quality inspection of home, mold and radon. We are also a member of InterNACHI, Des Moines Area Association Of Reator, Camber Of Comerance and Supra adhering to the InterNACHI Standards of Practice. Stratton Home Inspections is a member of InterNachi, as well as fully insured and bonded for your protection. We are a locally and family owned company that is committed to compassionately treating each client like our neighbor. Additionally, we offer discounts to nurses, the military, teachers, and first responders as a thank you for all you do. Our goal is to make sure you feel confident in knowing what you are buying when it comes to your home inspection! Let’s work together. Contact us to get started. Stratton Home Inspections provides leading home inspection services ensuring the buying and/or selling process of your home is as simple as possible. Our company has built up a reputation for being one of the most honest, educated, and trusted professional home inspection companies in the area. We are sure to pay close attention to detail, and the state of home materials, that an untrained eye would not be able to notice. Whether you walked right into your dream home or you have exhausted yourself checking out dozens, you’re going to want a comprehensive home inspection. No home is perfect, but our inspection services help identify any conditions that may require remedy before you invest large sums of money in the particular home. Stratton Home Inspections has all the proper building skills, tools, and expertise to identify problems during your inspection that a typical home buyer or seller may not see. We include thorough and detailed computerized statements that include digital images of the home, which will make it easy for you to understand. Upon completion of the initial analysis, you will be emailed the conclusions report for your review. Hi, my name is Christopher Stratton and I am the proud founder of Stratton Home Inspections! 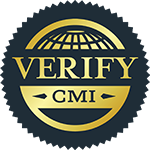 I’ve been in the industry for more than 15 years and have achieved the Certified Master Inspector designation. I started this company because I love helping and educating my fellow neighbors. My motto is “Honesty, Integrity, and Education” simply because I believe they are qualities that define who we are. My wife and I have four boys and we love finding new family activities to do together. We are both college graduates from our local university and we enjoy doing charity work whenever possible. Before graduating college, I joined the military as a 19-Delta Calvary Scout. I truly believe the training I received from the military, school, and continuing education made me a great father, husband, and business owner. I’m a firm believer in quality over quantity, and apply this idea to my bottom line. For more information about the services we have available at Stratton Home Inspections, contact us today!